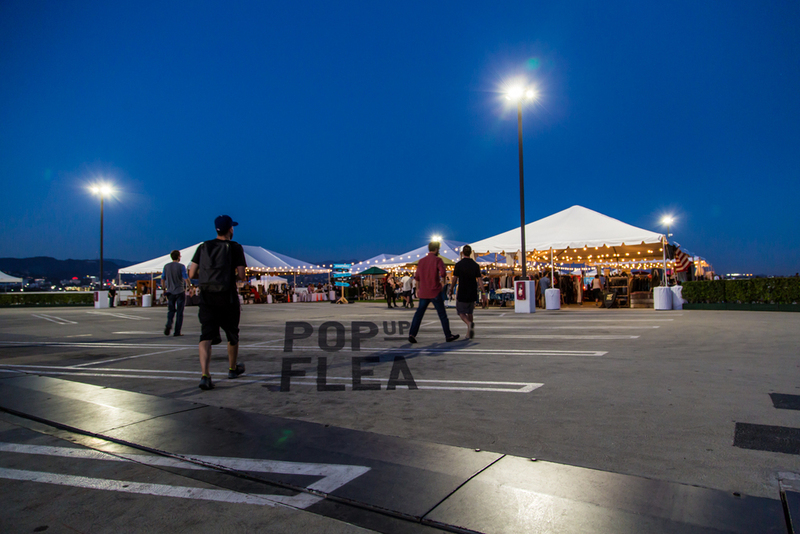 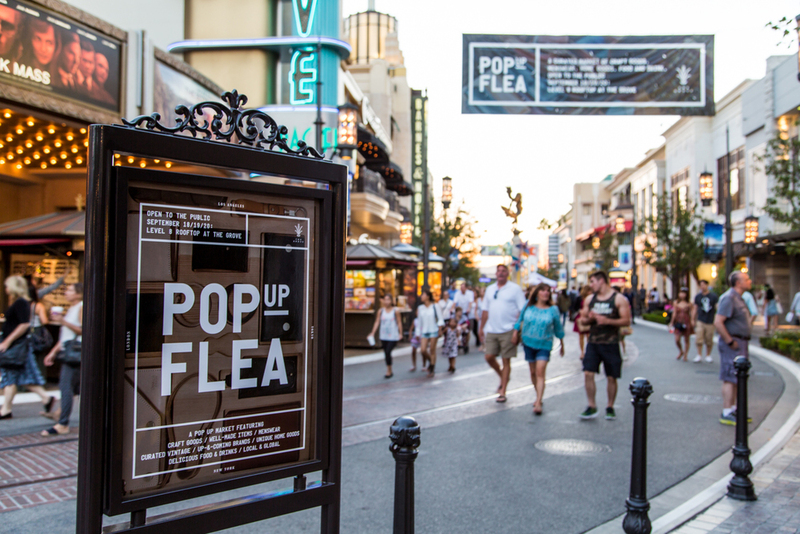 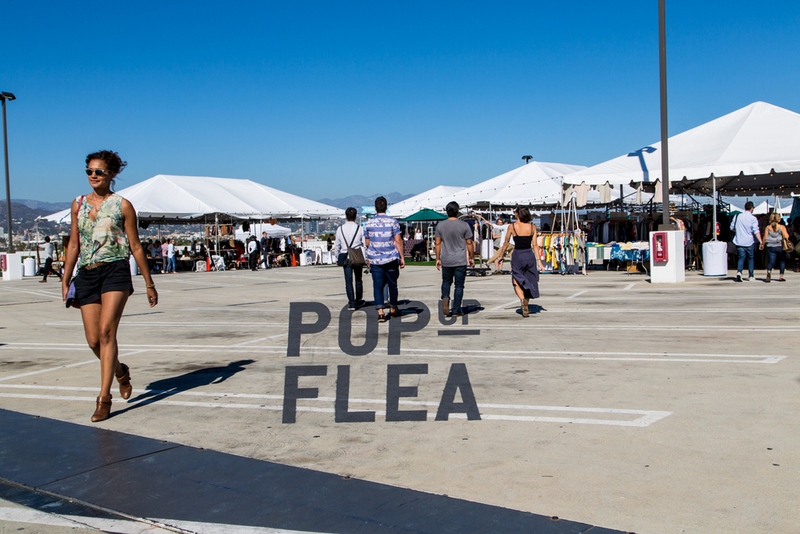 We were excited to travel to Los Angeles for the first ever Pop Up Flea in California (#PUFCAL) and it delivered on all fronts. 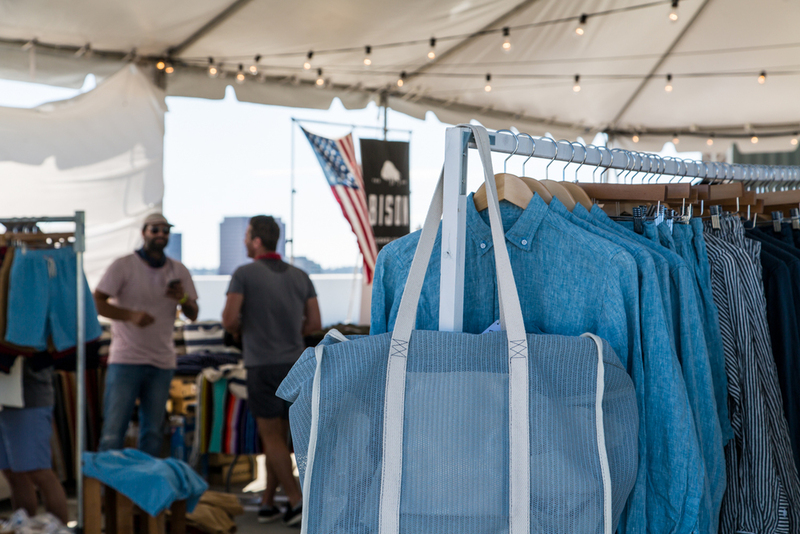 The three-day event was held on the rooftop carpark of The Grove and as always featured the best of the best menswear, accessories, food and drinks. 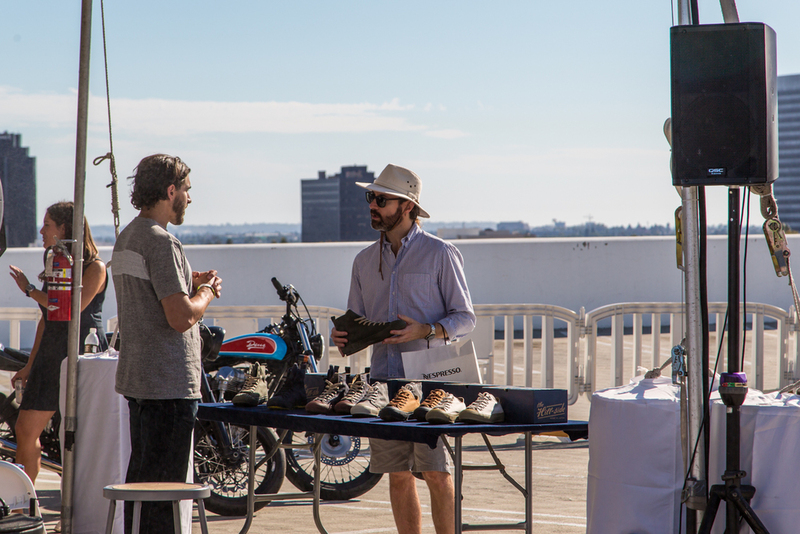 It also boasted stunning views and the glorious Californian weather. 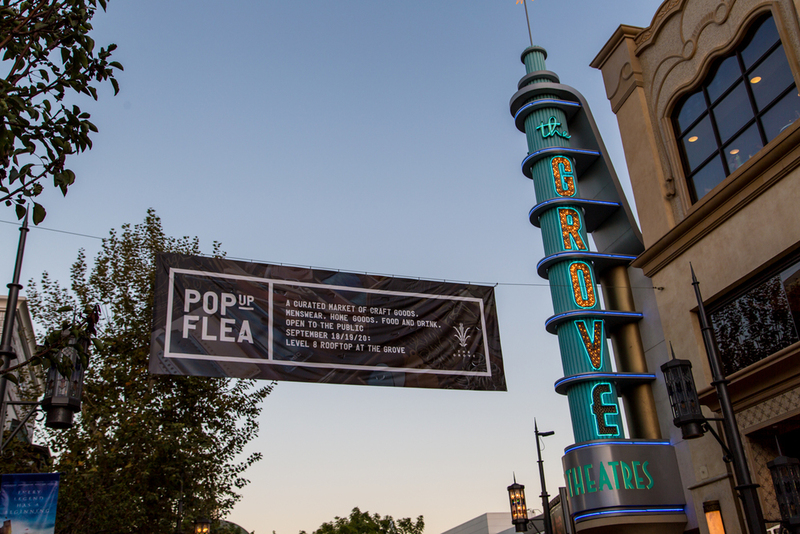 We created the identity for the event including all the signage and onsite graphics. 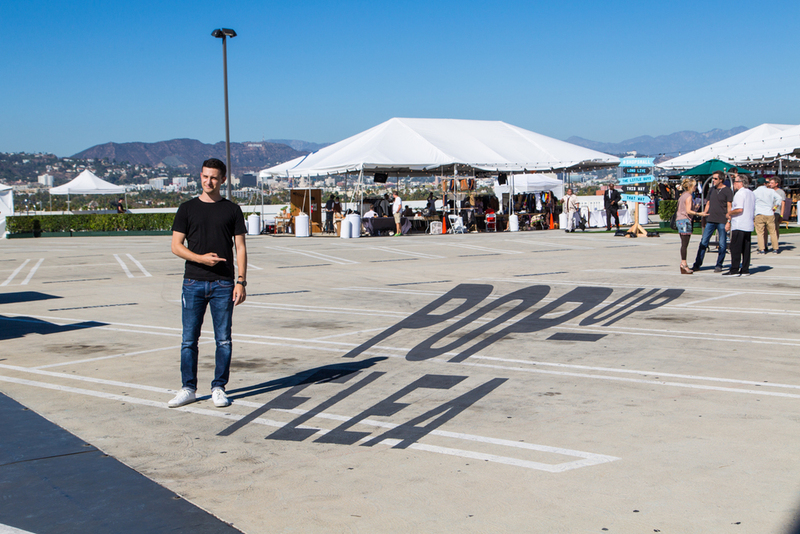 We painted an epic 8-metre long anamorphic Pop Up Flea logo, creating a popular photo opportunity on entering the event. 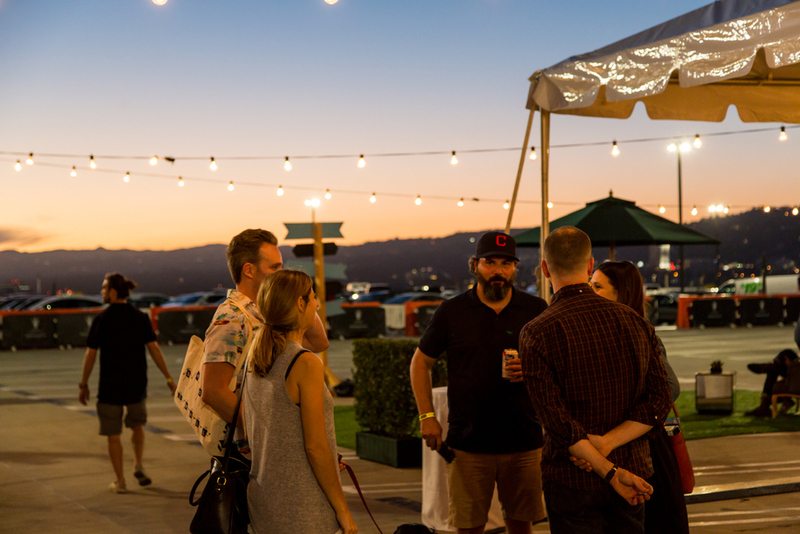 We also built a 20-metre long, low-fi wooden homage to the iconic Hollywood sign, creating super-sized shadows as the sun set each evening.